Educational Qualification :- Special LLB/LLM from Government Recognized University with regular course or five years integrated course in law. 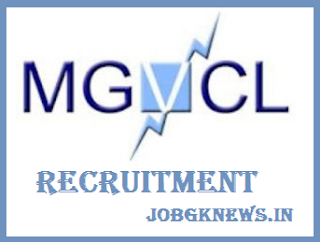 MGVCL Job Selection Process :- Selection will be based on written test/Interview. Application Fee :- Candidates belonging to General (UR) have to pay Rs. 500/- through any of the Branches of State Bank of India or Online through Credit Card/ Debit card/ Net Banking. How to Apply for MGVCL Vacancy :- Interested candidates may apply Online through the website http://www.mgvcl.com on or before 17.10.2017.